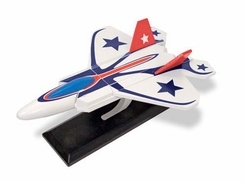 The sleek design of this easy-to-assemble jet plane will delight your mighty builder. 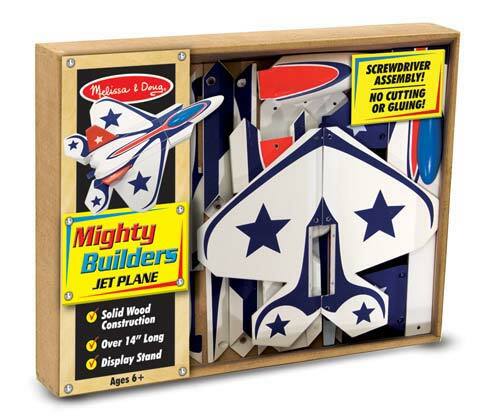 Requiring only a screwdiver, there is no cutting, gluing or mess when building this wooden model. Over 14" long when assembled, it will be displayed with pride!